Southern Star Central Gas Pipeline, Inc. (Southern Star) is pleased to announce the commencement of a non-binding Open Season for additional firm transportation capacity in its Production Area. 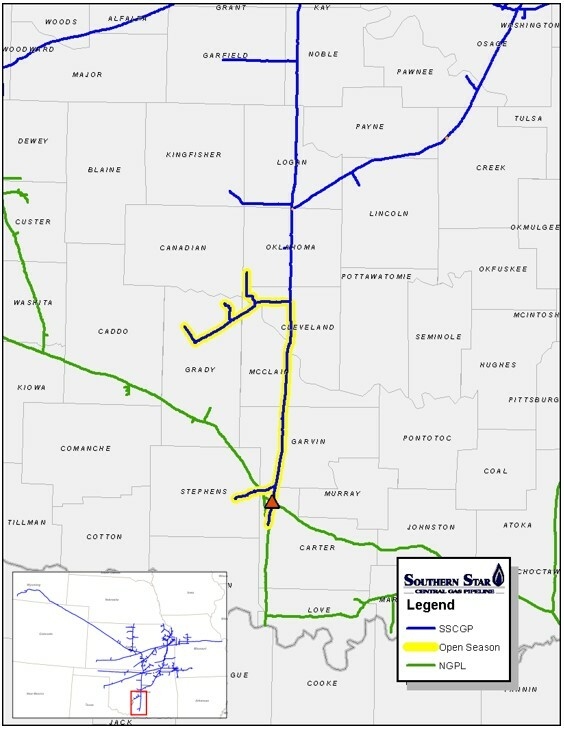 The Southeast Expansion to NGPL will provide Southeast market access through a newly installed interconnect with Natural Gas Pipeline Company of America LLC (NGPL). This project will expand capacity of the newly installed interconnect allowing the growing SCOOP and STACK production plays additional access to TexOk Markets in NGPL’s Segment 15 through Southern Star’s production area pipelines. Southern Star invites parties interested in firm transportation capacity available through the expansion described herein to submit non-binding service requests by 4 p.m. CCT on June 29, 2018. The non-binding bid(s) received during this Open Season will assist Southern Star in determining whether to pursue the proposed expansion and in defining the final parameters of such expansion. 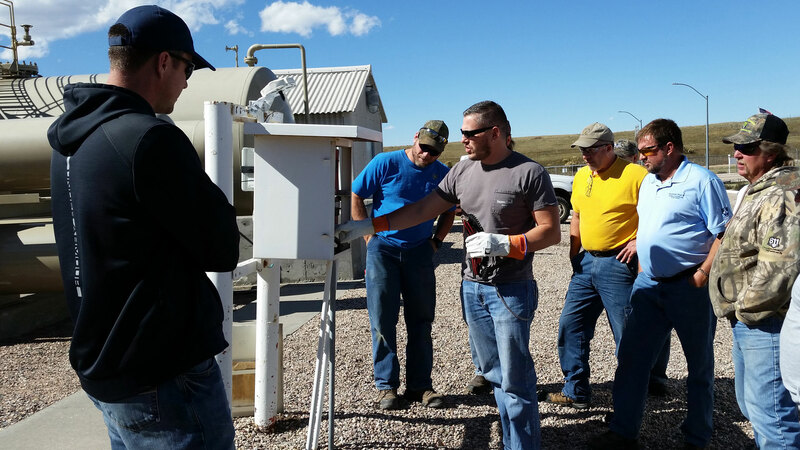 If it decides to move forward after evaluating the bids, Southern Star will, subject to FERC approval, install the necessary facilities to serve all or a portion of the requested capacity. 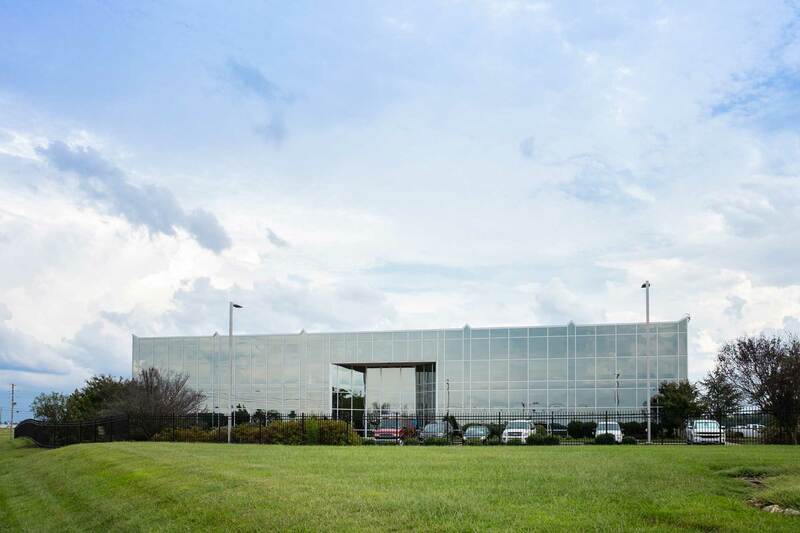 If an Open Season is successful, Southern Star anticipates service provided through the proposed expansion in the first quarter of 2019. Additional information regarding the project may be obtained by contacting Carol Burchfield at (270) 852-4740, Chad Priar at (270) 852-4558, or Scott Warren (270) 852-4559. Interested parties may access Open Season information at: http://csi.sscgp.com/ under the “Notices – Non-Critical” tab in the Informational Postings on CSI.